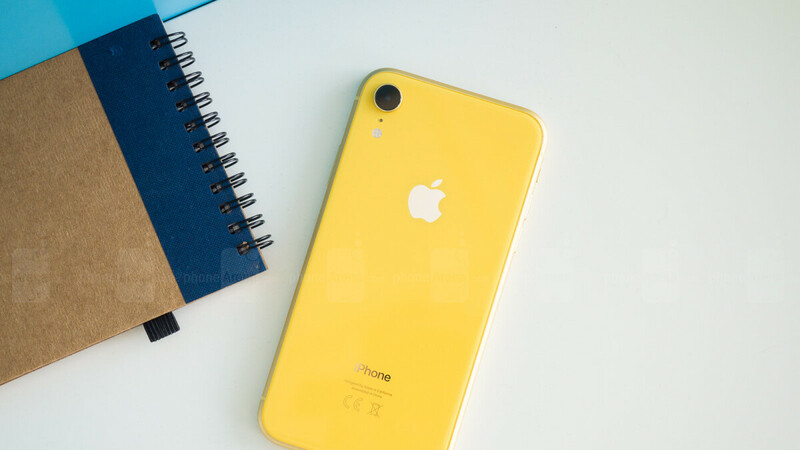 There have been numerous signs pointing to underwhelming iPhone XR sales lately, from unusually aggressive marketing ploys highlighting big trade-in discounts to various reports of production cuts and shrinking revenue figures for key parts suppliers. But when it comes to Apple’s supply chain, it’s hard to think of any company more pivotal than TSMC and Foxconn. Somewhat surprisingly, given all those ominous recent rumors and analyst forecasts, both these crucial Apple partners managed to boost their November sales results, as reported by Bloomberg. We’re obviously not talking about massive growth here, but considering the overall decline of the global smartphone market, this is certainly good news for nervous Apple investors. While the Cupertino-based tech giant merely leads long lists of high-profile TSMC and Foxconn clients, the latter is estimated to be relying on iPhones for almost half of its revenue. Also known as Hon Hai, the Taiwanese company is the world’s largest contract electronics manufacturer, handling a big chunk of the assembly for all three new iPhone models. Foxconn was purportedly told to cancel plans for iPhone XR production expansions recently, which has either yet to reflect in its books or never happened in the first place. Meanwhile, TSMC (Taiwan Semiconductor Manufacturing Company) is the lone producer of the A12 Bionic SoC inside the iPhone XR, XS, and XS Max, nonetheless running a thriving business that derives its profits from many partners and customers. Given certain crypto-difficulties, TSMC probably posted its latest boost in sales largely thanks to Apple, though, seemingly contradicting what everyone else was so sure about. Unfortunately, we’ll need to continue reading between the lines of these types of reports to find out how successful the new iPhone trio really is. That’s because Apple no longer plans to report sales units. Of course, profits are all that matter anyway, right? Considering this only reflects on November it doesn't disprove anything. Cuts in production would be expected to turn up in sales figures of the months after, not in the months where rumored cuts were announced... Besides TSMC has several big contracts that recently kicked off production of their latest SoCs and CPUs which would boost their numbers. So I wouldn't celebrate just yet. I actually came here to say just that: TSMC and Foxconn are not some exclusive Apple hardware manufacturer. They produce products for other companies too. In fact, it doesn't surprise me if TSMC experienced a boost in the past month due Qualcomm starting manufacturing of it's upcoming 855 processor at its plants. Remember, chipset manufacturers normally ramp up production months in advance of an actual release of a device. And it also doesn't necessarily mean that production of the iPhone XR is doing well, when you also have reports that showed the older iPhone 8 and 8 Plus were in higher demand. Foxconn still produces the older iPhones, so why are we somehow suggesting that this automatically means XR production is good? TSMC also produce chips for Nvidia GPU (and next-gen AMD chips), and Mediatek + Qualcomm processors. Considering more than 90% of all Android smartphone use Mediatek or Qualcomm SoC, they make more than 1 billion SoC just for Mediatek and Qualcomm each year, that's far above Apple's SoC they make each year. "How "surprising" Considering Foxconn also manufactures Huawei, Honor, Xiaomi and Nokia who have all seen massive growth this year it's obvious that the growth for these companies would negate any drop in iPhone orders. Foxconn doen't get paid any more for manufacturing a iPhone than it does for any of the others. Everything is about those stupid analysts and anti apple. As long as apple is raking 75% of total smartphone profit then its fine. Then maintain a $1000 price tag for the next 5 years. Lol, have you heard market cap? Going feom $1T+ to $8xx is a big big big dip. Even a man like a granda daddy of stock, Warren Buffet, is expect to be in red becuase of it you said it fine. Analysis is only speak from investor view of point not regular guy buy one or two iphones. Of course Apple itself will be fine, she will going no where or even going bankruptcy , but from investor it is big loose. This is not usual, as wallstreet always manipulating apple’s stock. So not mentioning the number of sales would be good in the long term just like other manufacturers. Just tell blockbuster profit and that’s all. Why is phonearena like this though? are they actually stupid? those companies are not exclusive and can easily replace lost orders with other companies. I just don't understand how there is absolutely no mention of this crucial fact.